How sure are you that your backup camera is showing a real-time photo? 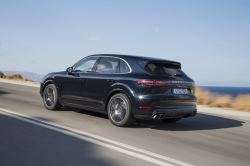 Porsche is recalling the 2019 Cayenne and Cayenne S because drivers are seeing a delayed image of what’s behind the SUVs. Porsche hopes a software update will fix the problem starting in April 2019.